This guide covers important business presentation tips on body language, structuring your message, delivery and preparing for questions. Use these tips in your next presentation to engage the audience and enhance your message. Essential tips to enhance your presentation and build a powerful story. Delivering your key message at the right time, to the right people, is the best way to persuade and influence the people that matter. Take some time to prepare - run through what you’re going to say and how you’re going to put your message across. There’s nothing quite like solid preparation to reduce those nerves. Once you have your presentation worked out, you will need to practice it, but even though you might think it’s the best way to have a flawless presentation, don’t memorise what you’re going to say. If you memorise your speech, you’ll get stuck in thinking you can only deliver your ideas in that way, and that stifles your creativity, and the chance for new thoughts and ways to put things that come up as you speak. Not only that, but every audience is different. Sometimes they laugh out loud, sometimes they sit and smile, and you never know which type of audience you’ll have until you’re live. If you’re going off a memorised presentation, it’s much more difficult to break away from that to go with the flow on the day, and respond naturally to your audience. If you forget your speech in the middle of it, you will be thrown, and you’ll have more chance of complete brain freeze, which really will knock your confidence. Memorising your presentation gives you a false sense of security, which could leave you high and dry if something goes wrong. If you’ve only got your memorised speech, for example, what will you do if your PowerPoint freezes or your props break, and you can’t do what you were going to do? Rehearse in front of colleagues, friends, a mirror, in virtual reality – always aloud. Make sure you spend plenty of time practising your presentation, it will make you feel much more relaxed if you know your material. Do, however, memorise your opening line. If you know how you’re going to begin, you’ll get a strong start and that will build your confidence. Many speakers and stage actors find that the minute they’ve actually delivered their first line, the nerves are gone and they’re well into their stride. Writing your presentation out in your own handwriting will help you clarify your ideas and may well bring you new ones. As well as practising for the ideas and what you want to say, practise how you want your presentation to flow. Think of it almost as a symphony, with high points, slow movements and crescendos. If it’s important, think about how you want your audience to feel, what emotions you want them to have, and when. Don’t be afraid to pause and use the power of silence. A good pause can have a huge emotional impact. It allows people to really absorb what you are saying and react, and it’s vital to pause if you’re using humour so that the next part of your presentation doesn’t get lost underneath people’s laughter. There’s nothing worse than the projector dying or finding that your laptop won’t communicate with the projector for some reason. If you know you have a backup, even if it’s only a pre-prepared flip chart, you’ll feel better, and you’ll be more confident. Following on from that, arrive at least half an hour early so you aren’t feeling rushed, and so you have time to check your equipment and get your notes laid out ready to go. That gives you time to breathe and relax before you go on, knowing everything is as set as it can be. Use physical props, if possible, for a demo. 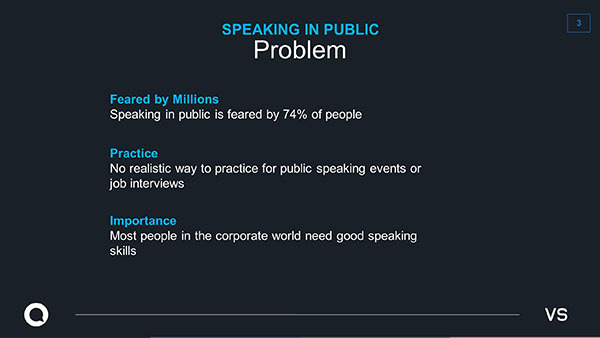 This can make you stand out and be more memorable among all the other speakers who only use PowerPoint, and it can add greatly to the impact of your presentation. First, find out how much time you have to present, is it 10 minutes, 15, an hour? Prepare enough material for this time and have a couple of extra slides as backup – we tend to speak much quicker when nervous so you might find you finish your presentation too early. At some large conference events, timings may change on the day, be aware of this have a shorter version of your presentation in mind (i.e. know which slides to skip over). Have a few backup slides for questions you think will arise from your presentation. It is sometime a tactic to explain a section briefly in your speech, so that you get a question about it afterwards. If you don’t understand the question, ask for it to be rephrased. If there are no questions, it is not an indication how good or bad your presentation was. You many have explain your material extremely well, or simply that people are tired at the end of the day and want to go home. If you can, go to the room you are speaking in before the actual event. It gives you an idea of furniture layout, podium height, location, room size, audience size and lighting. You can then visualise the room while practising and avoid the shock of suddenly being faced with a huge room when you expected a tiny one. Ask the organiser if you need any particular props, for example a table to help with your live demo. 1. Purpose – what outcome are we trying to achieve? How can results be measured? What will success look like? 2. Topic – Novelty? Complexity? Technical? 3. People – Who should attend? What do they already know? How are they going to help? 4. Timing – When will it happen and how long will the meeting take? 5. Location – Where will the meeting be held? Do you have access to the correct facilities for the meeting? 6. Papers – Who is keeping minutes? Do you need to send out an agenda before the meeting? Background information required? 7. Visual aids – Is a projector required? Boards? 8. Style – Structure or unstructured, discussion style? How assertive should you be? How should the meeting items be organised? Decide how you will use each of these to reinforce your message. Use the table below for help. Voice Flat, monotonous, trails off, shaky, hesitant. Sharp, cold, loud, shouts, abrupt, clipped, fast. Controlled, firm, warm, rich, clear, even, loud. Pace Ers and ums, jerky, too slow, too fast. Fast, emphatic, blameful, abrupt, erratic, hurried. Steady and controlled, changes easily. Eye Contact Evasive, looking down, darting, low eye contact. Stares and glaring, dominating, fixed gaze, threatening. Firm not fixed, natural and relaxed. Facial Gestures Fixed smile, apology facial gestures, blinking, blushing, chewing lip. Set face, few smiles, clenched jaw, frowning, chin forward, lips tight, gritted teeth. Open, varied and congruent expressions, calm, jaw relaxed, few blinks, smiles. Body Language Hunched, hand over mouth, arms crossed, head down, slumping, legs crossed, stands awkwardly, soft handshake. Thumping, clenched fists, pointing, pacing, leaning forward, sharp and rapid movements, crushing handshake. Open hand and arm movements, head upright, calm, emphatic gestures, relaxed, head nodding to show attention, firm handshake. It is very common for live demos to fail on the day. Make sure you have a backup, either a video showing it working or a second demo to show. PowerPoint software and computers have also been known to fail. Bring notes of your speech so you can still give it without a computer if needed. Make sure you ask the event organiser if you have any special technology requirements (even something as simple as extension cable if your demo needs power, and a power socket adaptor for that country). Change of technology failing on your big day? Very high. Make sure you have a backup demo or video for when the inevitable happens. If you were expecting a packed out meeting or conference room for your business presentation, and find it’s only half full for your presentation, don’t take it personally. There are many reasons people can’t attend. Also, if presenting at a well-known conference, you can still mention it on your CV or LinkedIn, no one needs to know the audience wasn’t packed. Keep your eye contact, firm not fixed, natural and relaxed. Maintain eye contact with people for around 3 seconds then move onto someone else. This helps keep your audience attention and makes you appear confident and that you understand what you are presenting. Note pauses in your presentation notes, where you take a deep breath and collect your thoughts. If you’re presenting, it usually means your opinion is important and interesting. Enjoy being the centre of attention – it might open up business leads and develop useful contacts. People usually abandon/forget/lose their name badges on the second day of the conference – keep yours on so that you can be easily recognised. You can always use the same presentation structure, even similar slides for an upcoming event. Keep material well-structured and named on your PC so you can find it months later if required. If you feel the presentation didn’t go as well as you would have liked, or that you didn’t explain yourself well, don’t worry. It happens. Even famous speakers mess up delivery – while presenting at parliament, Winston Churchill once forgot what he was going to say next, and had to resume his seat in shocked silence. For additional guidance on presenting, read Presenting a Conference Paper. Have a few slides as backup for questions you expect to be asked. This demonstrates to the audience that you really know your material. Planning in Analog. Tell a story, create stunning visuals and videos to complement video, use demonstrations and other speakers, keep the audience engaged. Creating a Twitter-Friendly Description Single description sentence, condensed his message into 140 characters. Introduce the Enemy Story needs villains or a problem to be solved. 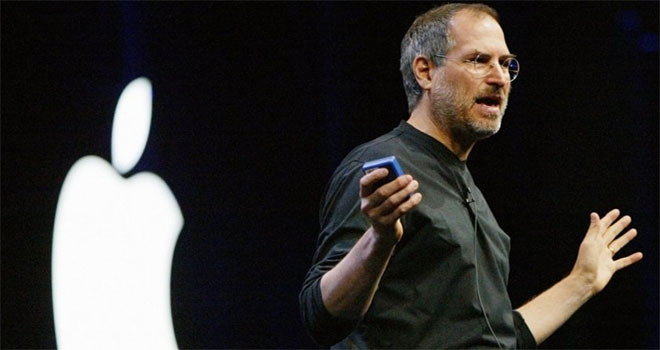 Jobs highlighted IBM and useless mobile phones (during iPhone release) as his villains. Focusing on Benefits Keep reinforcing the benefits of your product, create top 10 lists, understand this is what customers care about. Sticking to Rule of Three Classic Literary technique, things are best remembered and reinforced in threes. Read this article on Literary Techniques for more detail. Create Visual Slides Use as few words as possible and use colourful graphics on the slide to highlight points. Make Numbers Meaningful Compare large numbers to things people understand. Use Plain English Use easy to say and easy to remember words, keep it simple. Large Reveals Due to Apple secrecy, Jobs was able to deliver unexpected products to the world at his product launches. Read these presentation tips in more detail on the Tim Baynes pdf. Create an imaginary world or put the audience in your shoes. Engage emotionally with an audience. For example “Imagine we are at this same conference in three years time. I’m confident our company will be a Footsie 100 high performer. We’ll be in a hall twice this size. 85% of you will be shareholders …”. Painting a picture of the success you predict and drawing your audience in to your vision. A very effective technique when used selectively. “I have a dream” continually reinforcing a key message, illustrating commitment and highly memorable. Tips on how to deliver a speech people will remember. You must make eye contact with your audience or you will lose them. In smaller groups this can be individual (no more than 3 seconds). In large groups divide the room into left centre right and share your delivery. If certain parts of the presentation are more relevant to specific groups or individuals then you should address this to them. Asking for a show of hands or even a vocal response to a question. Again engages the audience and fosters two-way communication. Can be very effective if strongly relevant to the message of your presentation. It makes your presentation more personal and encourages the audience to identify with you engaging them emotionally. Audiences will remember messages you emphasise or put more power and pitch into. A variety of emphasis is easier to listen to and more engaging. “Now is the time to act! You must lead it!” – gives a strong communication of urgency (Now) and personal responsibility (You). It takes time, practice, and experience to build comfort with these presentation tips. Try a few of them out on your next presentation so you begin to understand what is and isn’t working for you. Use the FLORAL principles of presentation design. Links - Create links between your topic and things such as: current news events, previous presentations, recent technology research, agreed strategies by your business. Ask Questions - Use rhetoric questions to hold the audience attention. Put the focus on the listener and keep them engaged and thinking about your presentation. Last - Rehearse your ending many times as your audience will usually remember this part of your speck. Repeat your key messages in the last couple of sentences. An example of bad presentation design. Way too much text, no one will read this and it’s distracting. Much better, small amount of text to support what the speaker is saying. Easily readable, large font and clear message. 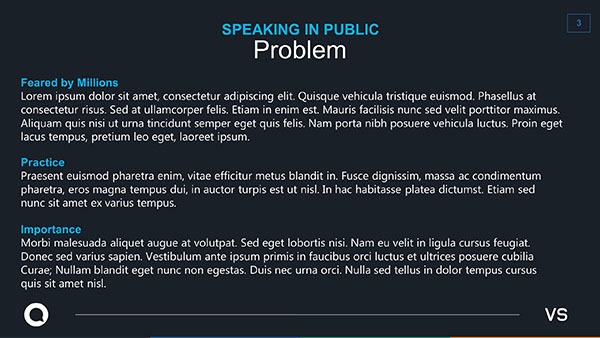 Read these ten presentation design tips to enhance your speech.